Do you need an emergency electrician in Norwich? Who is the fastest emergency electrician in the Norwich area? Call MTS Electrical today on 01493 717206 and we can help. Let’s face it… unless we’re renovating our property or something similar, most of us only call an electrician when there’s an emergency. Maybe it’s when the power goes off, or if we see smoke pouring out of an outlet. In those cases we need someone to come in a hurry. If you’re living or working in Norwich and the surrounding areas, MTS Electrical can get someone to you fast. You can reach us on 01493 717206, and it’s probably a good idea to add our number to your phone right now, or stick it on your notice board so it’s there if and when you need it. We are available for emergency response situations 365 days a year (Yes, even on Christmas Day) and with our fleet of 13 vans we will always have someone available to get to you quickly and sort out your electrical issues. 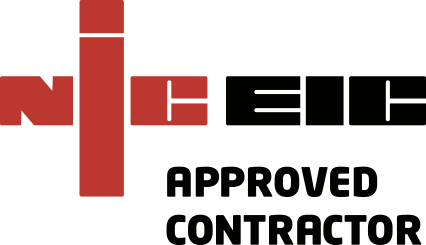 All our engineers are NICEIC qualified and up to date with the current industry legislation. They carry the latest test equipment to pinpoint any damage or electrical faults, and will get your problems fixed and your power back on quickly and efficiently. Any time you require an emergency electrician in Norwich, call MTS Electrical on 01493 717206 and we’ll be there to help.